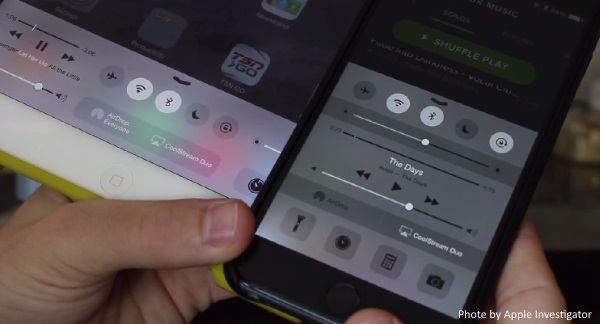 Apple Investigator shows his iPhone 6 and iPad paired at the same time with the CoolStream Duo. 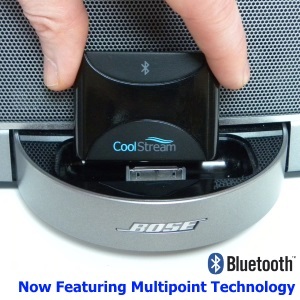 This video shows the ease of using the CoolStream Duo’s latest feature, Multipoint Technology. 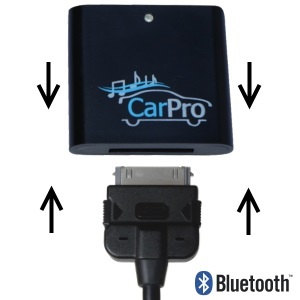 Multipoint allows two devices, such as an iPhone and an iPad, to be connected by Bluetooth to the CoolStream Duo at the same time. 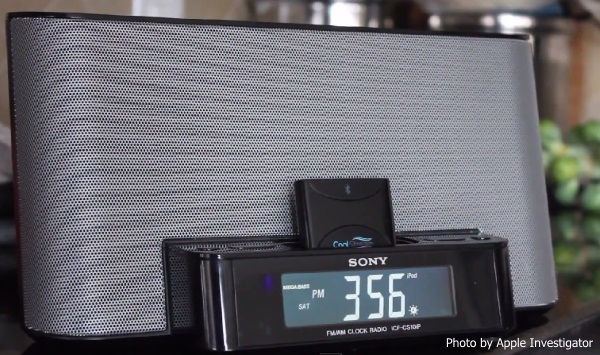 This allows you to enjoy the music on both devices at the same time. Getting your iPhone and your iPad connected to the CoolStream Duo is simple. First plug the CoolStream on to the 30 pin connector of your iPhone docking station. 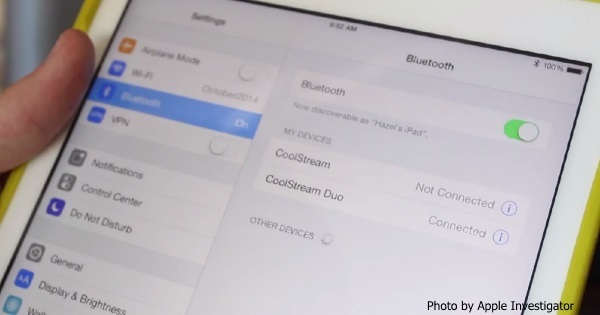 Then connect your iPhone to the CoolStream Duo by going to settings -> Bluetooth. Tap “CoolStream Duo” to connect. 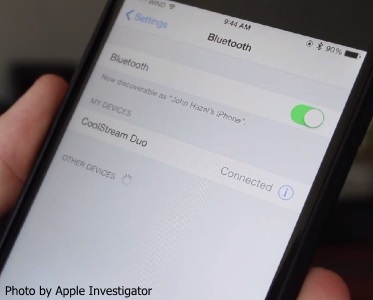 Now, turn off your iPhone’s Bluetooth function, this will disconnect it from the CoolStream Duo. Go to settings -> Bluetooth on your iPad. Tap “CoolStream Duo” to connect. 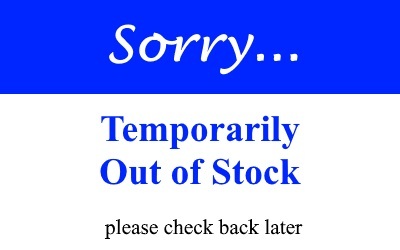 Now, pick up your iPhone and turn on the Bluetooth function. Tap “CoolStream Duo” to re-establish the Bluetooth connection. 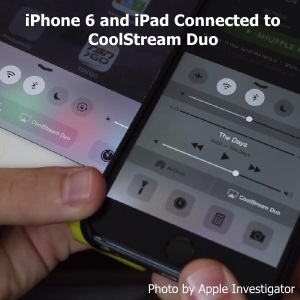 Now both the iPhone and iPad are connected to the CoolStream Duo. Now with Multipoint, the CoolStream Duo really rocks! Previous Previous post: Halloween music just as spooky as you need.